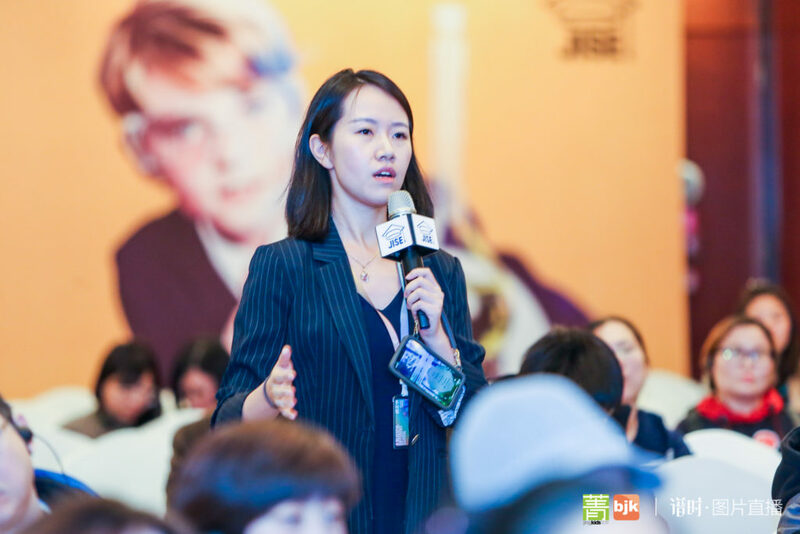 You are at:Home»Jingkids International School Expo»Education Beyond School Choice: Day One of JISE 2019, Beijing! 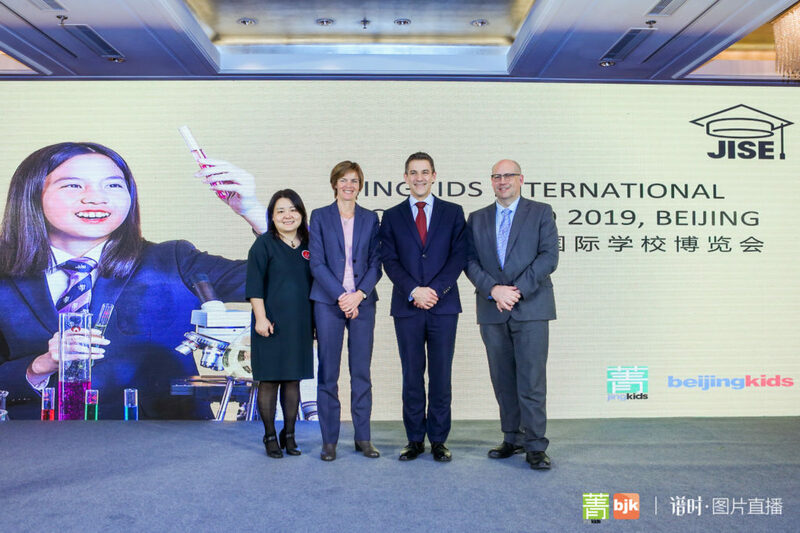 The 2019 Jingkids International School Expo (JISE 2019) got off to a great start today with over 2,300 families and over 90 early education and K-12 schools in attendance, not to mention a complete range of supplementing events, including our Education and Parenting Forums, JISE Youth Entrepreneurship Competition, and a Children’s Bazaar for kids to trade up gently-used toys along with some good old-fashioned unstructured playtime. We started the morning at 10am with a forum on Experiential Education, with Chris Cartwright (Coordinator of Experiential Education of Keystone Academy), Brad Walsh (Vice Principal of Teaching and Resource of ETU School), Evonne Hong (Director of Experiential Education, Nuo Travel), and Sam Goodman (founder of the Fulfillment Source Code [FSC]), as the moderator. They dived in deep to explore concepts of experiential learning and how the classrooms of tomorrow should be doing more to inspire and develop critical skills outside of rote memorization and other more traditional learning methods. This struck a chord with the numerous parents in attendance, who, during the following Q&A session, wanted to learn more about how these techniques are being adopted by international schools in Beijing and some of the challenges that these trailblazers are encountering during their attempts to apply these concepts. At the Innovative Education Forum in the afternoon (2-4pm), Patrick Hurworth, Head of School at the International School of Beijing (ISB); Director of Western Academy of Beijing (WAB), Dr. Marta Medved Krajnovic; and Simon Herbert, Headmaster of Dulwich College Beijing (DCB) (pictured below from left to right) shared their opinions on advancing their respective curriculums to best prepare students for a future filled with uncertainties. Attendees learned that innovative education doesn’t only deal with the upgrading of the current educational models, but is also about creating a more mindful approach towards learning that also aids in the positive mental and physical development of the child. 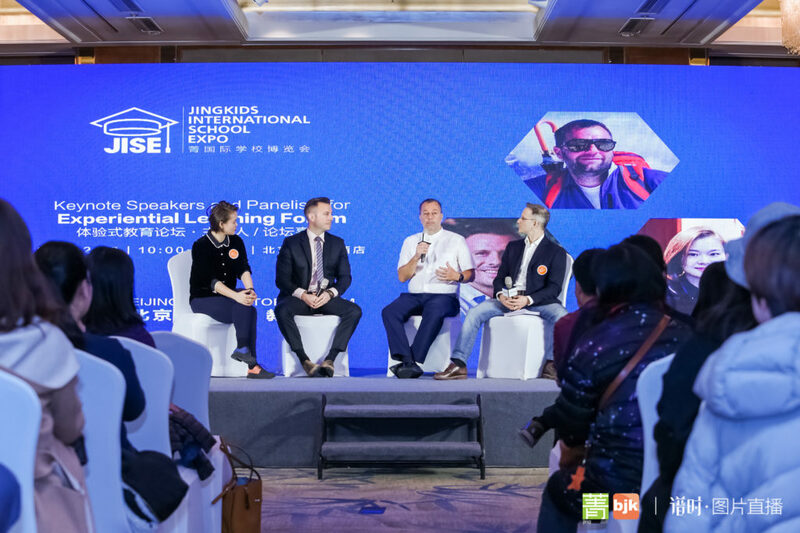 This was the first time ever that the heads of these top Beijing international schools were able to share not only a stage but their highly informed views on the future of education. Today was also the first day of the JISE 2019 Beijing Youth Entrepreneurship Competition with a team consisting of middle schoolers from Western Academy of Beijing (WAB) taking home the grand prize of RMB 5,000. Students were able to learn from experienced entrepreneurs, allowing them to gain plenty of valuable real-world entrepreneurship experience throughout the competition. This is just the tip of the iceberg. All in all, it was a great first day, but the weekend is far from over. Come check us out tomorrow and learn about the best that Beijing’s international education scene has to offer at JISE 2019!